Media coverage helps us spread our story and mission around the world. To learn more about CYF and to hear other perspectives about our work, browse through our press gallery of articles and interviews. Click on any excerpt to view the original link. Or, skip the gallery and browse our easy-to-read lists of press links below. Youth In Entrepreneurship: 06.12.2016. RADIO REEYAZ 96.8MHZ in collaboration with UTSAH NEPAL presents Radio Talk Show Youth in Entrepreneurship Season 3. Himalayan News Service: 08.18.2014. Online link unavailable. ECS Nepal: 09.19.2014. Online link unavailable. ECS Nepal: 07.01.2011. Online link unavailable. Wave Magazine: 07.2013. Online link unavailable. Santosh Shah Foundation: 12.06.2016. "Nepal's 75 Women Leaders 2016." News24Nepal: 02.27.2016. 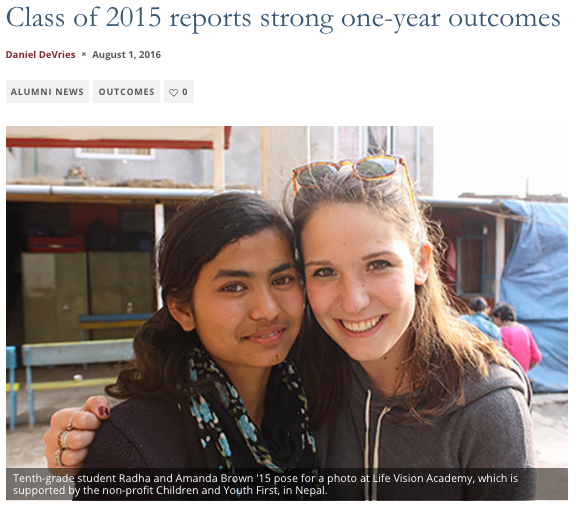 Actress Priyanka Karki discusses celebrating her birthday at Life Vision Academy. MyRepublica: 06.13.2011. Online link unavailable. MyRepublica: "Reggae for Change." June 13, 2011. Planete Urgence: "A Sewing Woman's Empowerment." April 7, 2014.